Do you need High Speed Internet or Wi-Fi for your RV Park Convention area? 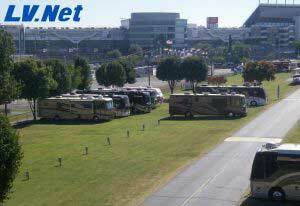 LV.Net provides RV Park Convention High Speed Wireless Internet and Wi-Fi. LV.Net has a wide network. And it is always expanding. Some of the larger service areas include Las Vegas metro areas, Primm Valley, Pahrump, Boulder City and parts of Southern California. LV.Net has the resources to provide service to any and all locations and serves locations including apartments, hotels & motels, office areas, desolate desert locations, and RV Park Convention areas. LV.Net’s High Speed Wireless Microwave Internet is very reliable. It features redundant backbone connections. LV.Net has over 18 years of experience in providing high quality Internet service. LV.Net has the resources and is prepared to service all wireless Internet needs, including in remote areas and RV Park Convention areas. We can also install Wi-Fi hotspots. It is LV.Net’s goal to provide the best High Speed Wireless Microwave Internet with speeds up to 1Gpbs without trouble. We feature 24 hour technical support, 7 days a week, every day of the year. Our technical staff is highly trained. They are customer service oriented. And they try to resolve any problem in one phone call whenever possible. No cable installation is required for high speed wireless service. Maintenance is without hassle. Wireless microwave Internet is guaranteed to operate reliably regardless of conditions. Please call us today for a quote. 1Mbps to 1000Mbps at RV Parks call us now 702.900.0000 for a quote or email us.